You may think this is an unusual article to be writing for a cat website but it is a question which frequently comes up. Gone are the days where we used to let our cats roam where they chose. As a society, we have come to realise that it is not safe to let our cats free roam, nor is it socially or environmentally responsible. 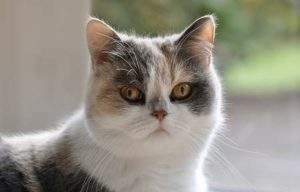 While we may think that Fluffy is an absolute delight, the neighbours who are having their plants dug up, their garden used as a giant litter tray, which potentially contaminates the ground with parasites and wild or pet animals killed on their property, may not see Fluffy in such a glowing light. Cats are smart creatures, if you spray them with a hose when caught in your garden they will just avoid it while you are around, however, they may well still enter your property when you are not. The trick is to use remote punishment. That is, regardless of you being there or not, something unpleasant (but not painful, cruel or dangerous) happens to the cat. Alternatively, try to make your garden unappealing to cats. This article looks at ways to deter cats from coming into your garden using kind methods, do not resort to cruelty. If you know who owns the cat, talk to the owner. Often they will be apologetic and make an effort to rectify the problem by keeping their cat contained. So this is always the first approach you should take. Some councils have a cat curfew, and the cat must be indoors between certain hours. So it is worth calling your council and finding out what, if any laws they have in regards to cats roaming. This information can be passed onto the owner of the cat. 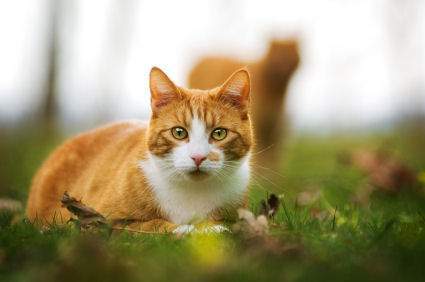 If you are the owner of a cat which has been roaming into neighbourhood gardens, I would seriously urge you to look into a cat enclosure or cat proofing your garden. This will keep your neighbours happy and your cat safe. If this is not possible then try to make your garden as cat-friendly as possible so he won’t be as inclined to roam. Do this by planting cat-friendly plants such as catnip and cat grass. Provide a toilet area that the cat will find attractive. An old sand pit for example. There are many products available which are aimed at deterring cats. These usually contain a scent which cats find extremely unpleasant. These products are usually available from your garden centre or even a pet shop. Cats prefer to dig in loose dirt or sand. If you have a small area try placing some pebbles in the garden beds. Pine cones also act as a deterrent as cats don’t like the feel of them on their feet. So try adding some to your mulch and spread around flower beds to keep the cats away. Depending on where you are, you could try motion activated sprinklers. However, this isn’t recommended for Australia with our current drought. The use of sprinklers in many parts of Australia is prohibited. Citrus is unpleasant to cats, so if the neighbourhood cats are zoning in on a smallish area, you could try putting orange, grapefruit or lemon peel in this area. Other plants cats dislike the smell of are lavender, Coleus canina, pennyroyal and rue. There are ultrasonic devices which are triggered by a motion sensor. These emit a sound which is inaudible to humans but able to be heard by cats. Place netting on the ground, especially in areas where there is freshly turned over soil and or seedlings. If you have a bird feeder in your garden, make sure it is hung up in a location which is difficult to get to for cats to reduce their chances of catching birds. Which could be what is attracting them to your garden in the first place? If you really can’t keep cats out of your garden then maybe it is worth considering designating a small area to attract cats so they will be more inclined to stay away from other spots. Try planting cat attracting herbs such as cat grass and catnip. In areas you don’t want the cat, look at plants which repel cats such as lavender, Coleus canina (scardey cat plant), geranium, lemon thyme and pennyroyal. You may also want to try designating an area for the cat to use as a toilet. While this may sound unappealing, it may be better to make an attractive area for them so they avoid the rest of the garden. Placing a sand pit close to the catnip should do the trick. If you have any cat-friendly ways to deter cats from gardens I’d love to hear from you. There are many websites which recommend the use of mothballs as a way of deterring cats. This is something I absolutely wouldn’t recommend as they are toxic to cats. While a cat entering your garden and digging up plants is no doubt irritating, using harmful products as a way to solve the problem is not the way to go. There are plenty of safe and humane methods for deterring cats without having to resort to cruelty. So please don’t use any methods which will harm the cat. Why Do Cats Go To People Who Don’t Like Them?